The cutting bar is 6″ long, and the overall length of the Lopper is around 24″. It’s about 8″ in width. And don’t worry, it’s light! The Lopper basically works like a large pair of scissors. Once you spread the jaws apart, you clamp them around the piece of wood. The two black buttons inside the handles activate the motor and chain. Pro Tip: You are better off squeezing the buttons and starting the chain prior to engaging the piece of wood you’re cutting. That will keep the chain from bogging down against any hard woods. As with any corded electric saw, I found the only real annoyance to be keeping the cord located and away from the saw teeth. The LP1000 has plenty of power. As you can see from the specs, they recommend tackling only pieces of wood that are 4″ in diameter or smaller. But I used on larger logs, and it muscled right through them. The jaws open plenty wide. And you’ll notice that the two guards are spring loaded to the jaws on each side, so as you cut the guard stays out of the way. When I was cutting logs larger than maybe 5″ or 6″ in diameter, I occasionally had to cut one side, then roll the log, then cut the other side. 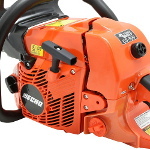 Realistically, if you’re using a true chainsaw, you’re going to probably do this anyway, to keep from jamming the saw in the ground and dulling or damaging it. I tried some junk 2×4’s I had picked up from a construction site waste bin and stored behind the garage. The LP1000 ate them for lunch, sawing through them easily with no fanfare or trouble. This thing is incredibly light, weighing only 6.5 lbs. It’s easy to maneuver and not very tiring at all. It’s quiet, like most electric saws are. You will not wake your neighbors up with this Alligator! Obviously, if you do something dumb, you can hurt yourself with any piece of outdoor power equipment. The fact that it tends to hold the branch steady as you cut is a pretty neat feature. 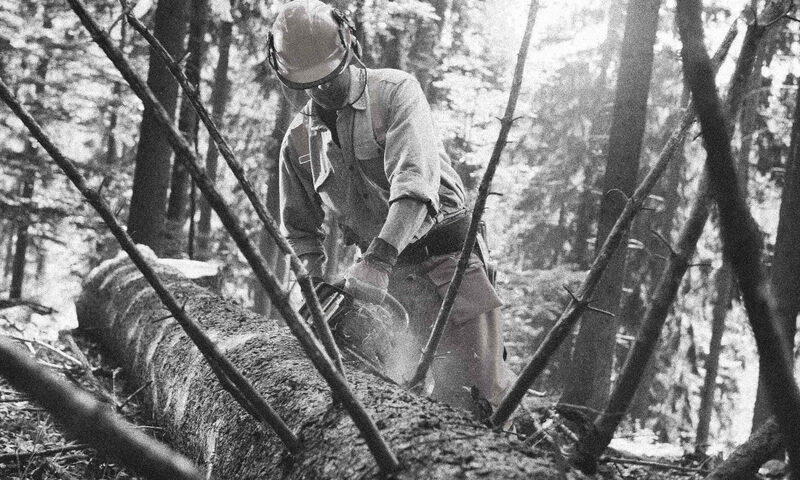 You of course have to be careful as you finish your cut, since the branch or log will then be free to drop or roll. My only two gripes are its capacity and its storage. 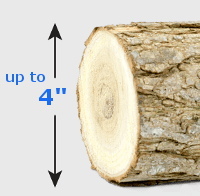 Black & Decker clearly states that it can only handle wood up to 4″ in diameter. Like I said, I found it could actually handle more. But if you are working a job that really needs a chainsaw, just use a chainsaw. It’s hard to hold the small form factor and the capacity issue against it since it does what it’s designed to do. And storing this thing is a little odd. It has a motor sticking out on one side, and a chain thing on the other. There’s not a flat surface anywhere on it where you can lay it down. I know those are pretty minor gripes, but I thought I would mention them. This is a surprisingly solid piece of equipment. Unlike a huge pair of scissors, the action feels tight and without slop. The handles are rigid and feel like they can take some abuse. The jaws and bar are made out of tough steel, as are the guards. The chain seems durable, and prone to holding its edge. The clamping action helps to put the correct amount of pressure on the wood/chain interface. The composite covers over the handles and the motor appear to be beefy. They don’t flex or creak, and everything fits up well and looks nice. This thing is pretty durable right from the get go. It comes with a 2-year warranty, which is certainly a good piece of mind. There are really only two items to worry about from a maintenance standpoint. First of all, as with any chainsaw, you have to keep the chain oiled. 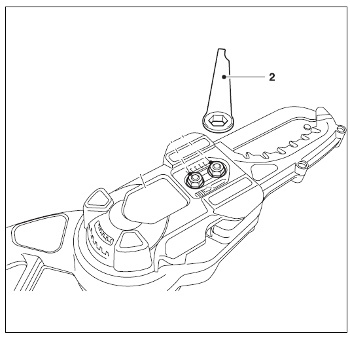 It comes with an oil bottle, and the instruction manual makes it clear where and how to go about oiling it. The second thing is keeping the chain tensioned properly. 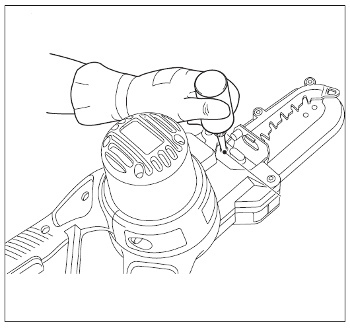 Some chainsaws come with automatic chain tensioners. This one is semi-automatic. All you do to re-tension the chain is loosen the two chain tensioner bolts and let the spring-assisted system automatically find its own adjustment. The owner’s manual spells this out, in case you need help, and also has some specs for how to check the chain tension with just your fingertips. There isn’t a ton of stuff that can go wrong here. It’s possible you could use the Alligator Lopper enough to wear out the chain. Replacing it is covered in the owner’s manual, and thankfully does not require a PhD! An accident where you end up either cutting the cord or yanking it hard enough to cause a wiring problem is possible. Black & Decker recommends that you take it to a “servicing professional” if that happens. But it’s something you could possibly do yourself. I have accidentally cut the cord on equipment like this before, and completed a simple wiring splice/repair on my own. If I were to yank this thing too hard, and dislocate the wire in the motor itself, I think I could take some screws out and get to the terminals on the motor easily. The LP1000 does have a couple of competitors. So you have some alternatives to consider when you are ready to buy. 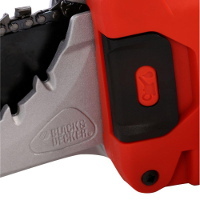 The first “bucket” of competitors are other Black & Decker products. For a bit more money, you can buy the LLP120. It’s essentially the same saw as the LP1000, but it is cordless. 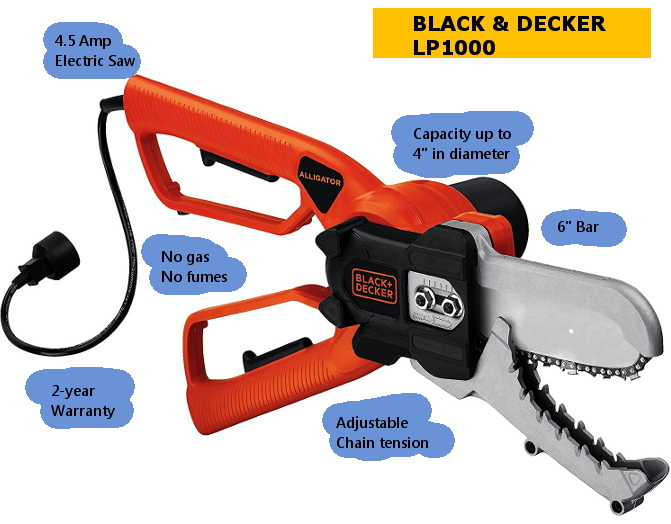 It uses Black & Decker’s standard 20V lithium-ion battery. If you are already in their “ecosystem”, you can buy this saw without the battery, and just use the battery and charger you have. Also, Worx has a number of alternatives. The Worx JawSaw WG307 is a 5 amp corded version. It uses a different form factor than the Black & Decker. Instead of a scissor type action, the Worx version has a handhold at the rear with a guiding point in the middle of the tool. This feels more ergonomic, but I just don’t feel like I can get as much force into it. Here is the LP1000’s owner’s manual.